In the present world, Internet usage is something that has increased tremendously compared to the world before five years. Studies also show that the drastic usage of internet is mainly used for the download purpose. Downloading stuffs over the internet is something that is done almost everyday by teens and elders all around the world that is has become a essential part of the daily life. Downloads happening over the globe mainly consists of Games, Softwares, Music, Mp3 Songs, Movies, Videos and what not. Download is not an easy task if you do not have an Internet Plan with a Bandwidth that would serve the purpose.So here is where Download Managers come into task. A Good Download Manager is the one which would give you super fast download speed. IDM [Internet Download Manager] is one such and undoubtedly the world’s best Download manager at present. It is a complete amalgamation with all the features appropriate for administering downloading tasks with assurance. IDM has the feature of automatically recognizing the file types while download is about to being. Also, the Downloads are not limited to specific file types. It can download programs, documents, music, videos and other file extensions with ease. On top of that, it also recognize files that are streamed to the computer. IDM can take over downloads from any internet browser if its kind matches the list of extensions mentioned. You may edit the list of extensions in “Options->File Types”. It supports downloading of videos while it’s being. It can download FLV videos from popular sites like YouTube, Metacafe, dailymotion, MySpaceTV and many more. Has got a Drag and Drop Feature. Automatic Antivirus check – You have the option to Configure setting and and select the installed Antivirus program to enable virus checking when download is complete. Resume Download feature – Allows you to download the file part by part at a time allowing you to pause the current download and resume it later on. Increases the download speed upto 4x compared to the normal in-built browser downloader. Download limits – Progressive downloading with quotas feature limits downloading to defined number of megabytes per hour. The feature is useful for connections that use fair access policy (or FAP) like Direcway, Direct PC, Hughes, etc. Has got a very important feature like website grabber which comes into play when you are looking to download all images from a website or wanting to download the site completely for offline browsing. Prompts and asks what is to be done in case a duplicate download link is added. Has got multingual support, zip preview, download categories, sounds on different events, scheduler pro, https support, queue processor, html help and other features. You can schedule downloads so that they are downloaded at selected times of the day. IDM even supports proxy servers, firewalls, protocols, redirects, cookies, and authorization, audio, video, and other files. Open your web browser and find a video on YouTube you want to download. 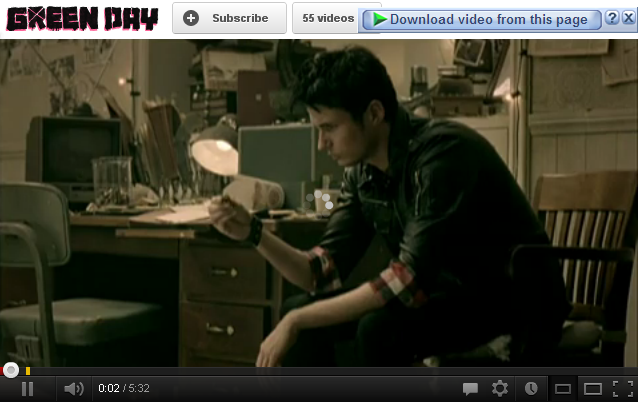 Wait until you get the button “Download Video From This Page” on the top right of the video and click it. On some particular videos, You will be presented with the option of Downloading the Video in various sizes depending upon the quality of the video, enabling you to download the particular resolution that you wish to watch. When you initiate a download , you will see the following prompt come up. You can choose the folder and the category where you want the files to be saved. If you are willing to download files from file sharing sites like Rapidshare, IDM will download the correct file only if the download is captured automatically from the browser. If you use “Download with IDM” browser context menu item or download panel for selected links, IDM will download a web page instead of a download. Also make sure that you have enabled “Start downloading immediately while displaying …” option in “ Downloads > Options“. In case you have a premium account, then You need to add your Login and password Details for Rapidshare in “Downloads >Options > IDM configuration> Sites Logins” You need to add two entries. 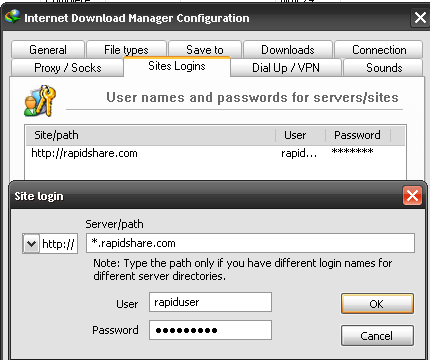 Also note that you should use “rapidshare.com” and “*.rapidshare.com” as the server names. Also make sure that you have checked the “Direct Download” box in Premium Zone. Another Good feature about IDM is that they come up with crucial updates at regular intervals of time. The current and the latest verison of IDM is v6.10. The cost of IDM is just $25 and its worth every penny that you are going to spend on it for experiencing the above mentioned features. With the large set of features that it offers, IDM is the ultimate Download Manager and is placed at the top in its niche. Let us know why you would like to win the license through the comments. Winners will be selected randomly by the IDM team and would receive the licenses through their e-mails on 15th April which is the deadline for this Giveaway. Good Luck. Also watch out for the cool giveaways in the near future. I have a slow internet connection so I tried IDM and it helps me to download files fast and easily for work and personal use. The other features I like is the ability to resume broken downloads and auto queuing of files for later download which frees my time for other tasks. It is an excellent program and I hope to win a license which would be awesome. Thanks. All those who shared the post, Please post the link to the page where you posted the comment like Jay did or else I won’t know who all shared. I like to win it because I download several videos,music,files etc from various sites so I need an effective download manager.I had trial version of IDM & saw the differences,it’s the best download manager in the world. With low bandwidth I want fast and resumable download that’s why I want awesome IDM. It is the best download manager on earth. Akhilesh here. I have shared this page too. And yeah, liked the fb page of this site as well. I would really like to get hold of a license of this amazing tool. Can you tell me how you added this floating social share buttons and the “RECOMMENDED FOR YOU” thing? Would help a lot. I’m not great with wordpress. hi please,count me in for this superb give away.I have been using IDM for couple of years now and I am mighty impressed with its features and the ease of use. Though it is named Internet Download Manager but the main purpose of its use is download speed acceleration. I have tried many other free/paid tools but none could match IDM’s download acceleration. It is capable of increasing the download speed up to 5 times..
Chrome and many other popular browsers. I use torrents a lot, so this is great opportynity to accelerate their download. Fazendo A MINHA PARTE, DESDE DE JÁ AGRADEÇO PELA Participação! i would like to win IDM because i have slow internet connection, and download a lot o files like movies or music from internet. 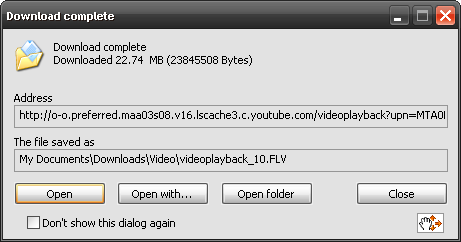 Thanks to IDM i can also download files from sites like you tube. I tested many other download manager, but this one is the best. Please count me in. Sorry for my english, but this language isn,t my first. Internet Download Manager is a great tool to have it on windows, facilitate life of download and resume through intelligent algorithm. SInce my internet is not strong, IDM will help me gaining time and bandwidth. Thanks for the contest. It’s a great experience to have this Wonderful Software installed in my Notebook. I like downloading everything substantial to my needs and pleasures. That’s the reason why I like to have this IDM. One of the best if it’s not the best of the best Downloader Tool ever. This tool is suitable to my internet connection speed and bandwidth in Indonesia which is too slow. This tool really help me to find what I really want. Please count me in Dude. nice giveaway..thanks..idm is the best download manager which have full support of downloading everything from various sites even from youtube..so i want licence bcz it can improve my boring slow dwnload speed of aircel..bcz idm can improve it. IDM is great! It not only speeds up downloads on my slow internet but lets me download whenever it’s convenient with the use of schedules and/or in parts for larger files (i.e. without killing the network for everyone else)! Thanks to Techarta.com for coming up with this awesome contest! IDM Keys have been sent to the Winner’s Email IDs. Some shared it on their facebook wall and deleted it later on due to which I couldn’t find it. Some haven’t told why you wanted to win the license as a result of which IDM team didn’t want to count you in. Some of you who have shared it on their walls haven’t liked our Facebook Fan page. Some of you have just liked the post, but haven’t shared it. Some of you who have shared it only on twitter have locked your twitter page as a result of which We couldn’t find the share. Anyways, There are loads of giveaways that would be shared in the near future. Hopefully that time around all the conditions would be fulfilled by you guys. I assure you everyone will get to win at least one giveaway in Techarta. Thanks to all for taking part.